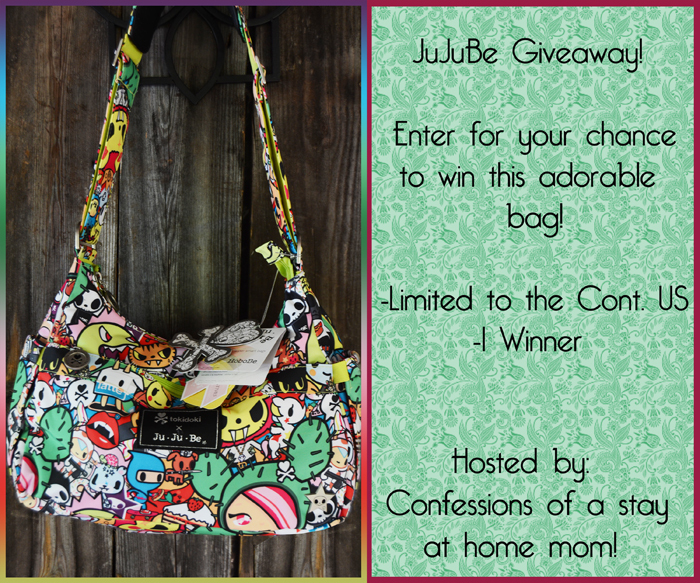 Ju-Ju-Be® was started by the dynamic duo of diaper bags. Why did we start up a whole new brand? Because despite the great fashion (and even some great features) of the other brands, there were still some things lacking. No one had put to use the latest in technology. No one had successfully acted on the idea that fashion and function aren’t mutually exclusive. No one else had delved into the deep realm of microbes and anti-stick coatings. Everyone else says that diaper bags aren’t rocket science. We think they can be. Along with being a lot of fun. I love these bags. Diaper bags need to work for the mom, no matter how pretty they are if they don’t work they wont get used. Previous post: Coconut Water Refreshing Mango Dial Body Wash! I would keep the prize and use for my children. I would keep it and use it myself although my daughter might try and borrow it. I would keep it for myself. It’s unusual. Would it be selfish if I kept this bag for myself???? If I win this giveaway I would save this bag for my daughter or gift it to my sister in law! Such a cute print! Wear it everywhere with pride!! i would keep it and use it. i will have two in diapers come september and mama could use a new bag. I’d keep for myself! So cute!! Use it for cloth diapers! I would have to keep it for me. I love it. If I won this I would use it for my son! I would give this to my daughter, she would love it! will give it to my daughter in law who just had a baby! i would keep it and use it with baby #2 due in october. I would keep it for myself as a smaller diaper bag. This would definitely be used as a diaper bag, purse, anything! I’d use it every chance I got! LOVE IT! I would use it as a diaper bag/purse. I’ve wanted one of these for so long. I’d keep it and use it! I would use it for my boys, and then give to a friend when we’re done with the diaper-bag phase of life! If I won, I’d be stingy and keep it all for myself! i would use it for me!!! such an awesome bag!!! Use it! I have never had a diaper bag before and I am on baby #3. Haha! I will probably use it for a gift. I would definitely keep it! I will either keep it for myself or give it to my daughter.